Managing trash aboard the International Space Station is an ongoing challenge for astronauts, who must manually compact and store garbage until they can offload it in departing ships bound for touchdown on Earth or directed into a controlled incineration during the descent through Earth’s atmosphere. Missions to the Moon or Mars will not have the benefit of the space station’s robust supply chain with regular visiting vehicles, so NASA is investing early to tackle the challenge of trash management in deep space. 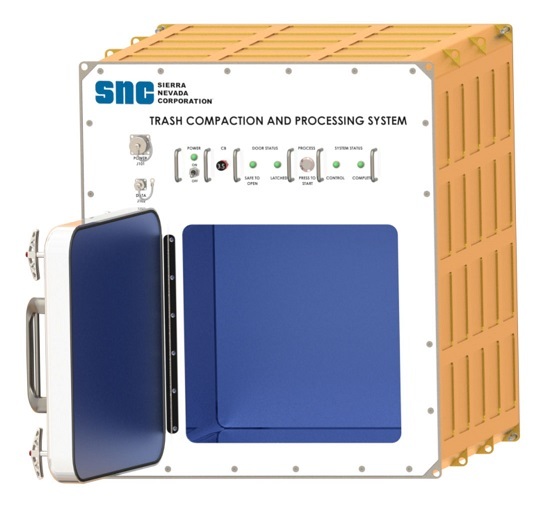 SNC (Madison, Wisconsin) and UTAS (Houston, Texas) will have approximately 18 months to develop and test their trash compaction and processing systems under Phase A, to a point at which a preliminary design review (PDR) can be conducted. PDR is a standard step in the engineering process that confirms a system’s design can meet all requirements with acceptable risk and within the estimated cost and schedule. Phase B will be a separate, follow-on procurement with a 24-30 month period of performance to complete flight hardware design in preparation for a flight to demonstrate the capability on the International Space Station. 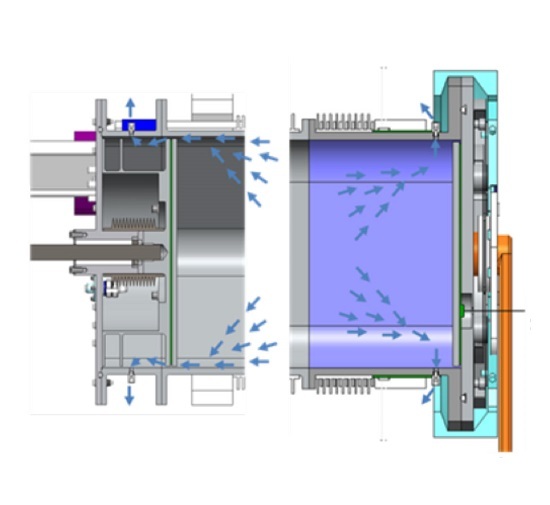 Both companies proposed trash compaction chambers that would use heat cycles to reduce and isolate gas or liquid contaminants to be vented outside the spacecraft. SNC also is designing a complementary system to recover water from solid waste and developing options to determine if it’s possible to treat contaminants for safe integration with onboard recycling systems. SNC and UTAS have already demonstrated their microgravity waste management competencies. UTAS is on contract with NASA to manage a different kind of waste—their Universal Waste Management System will be the toilet that astronauts in deep space use. SNC has experience designing space trash processing concepts under NASA’s Small Business Innovation Research program. As with other NextSTEP partners, SNC and UTAS each will contribute 20 percent of their own corporate resources toward the overall effort – a measure to encourage simultaneous investment in potential commercial applications of their designs. NASA’s Advanced Exploration Systems Division manages NextSTEP partnerships, which support commercial development and reduce risk for deep space mission capabilities. I like it. Seems well thought out with air and water recovery done at ambient temperatures followed by a heating cycle which vents the nasty chemicals released from heating plastic overboard. It also has some very useful applications on Earth, particularly SNC’s plans to investigate further recycling opportunities, water is a resource we often overlook when thinking about scarcities, however we really shouldn’t even if we aren’t in a desert. Water is one of the main obstacles in a NASA plan to cool Yellowstone with supercritical steam- geo thermal. With need horizontal drilling for safety. So it will be useful in large scale and probably even small to medium scale for outposts and camps and for potable water on ships, I can see military use in not needing to truck as much water for instance…. I don’t know what percentage of total ISS trash mass is made up of plastics, but if the end result of the compaction process is a “puck” of mixed plastics, these could be tiled onto the areas of ISS most vulnerable to radiation and/or micrometeorite/orbital debris strikes. I’m guessing you’re an engineer and not a real estate agent. I’m not an engineer, but I don’t think “curb appeal” played much part in ISS’s design. It has always had the look of something designed by committee because it was. Hard to see how tacking on some trash pucks would degrade ISS’s already negligible aesthetics.